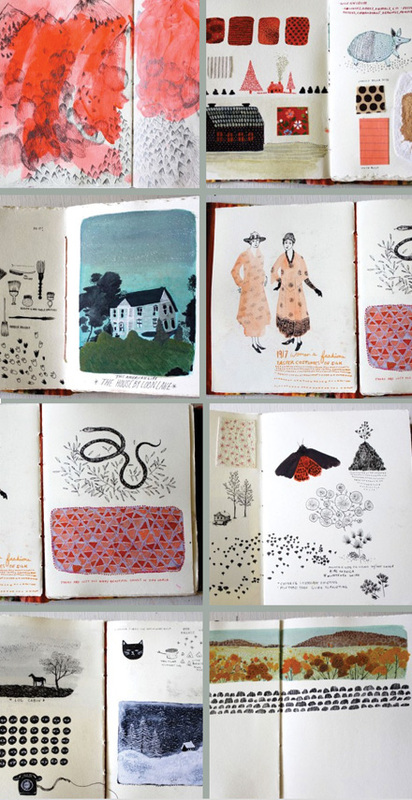 I’m enamored by the beautiful sketchbook spreads by Becca Stadtlander (previously) over at Julia’s blog Books by its Cover. Oh wow beautiful pages! I love sketchbook photos, they are so inspiring. It’s like seeing inside the mind of the artist. BEAUTIFUL…INSPIRING…makes me want to get my paints and sketchbooks out! hugs and thanks always for sharing such AWESOMENESS!!! sketchbooks make or break my day. this post is awesome. her work is great and i love to see so much artwork, by one artist, in one place. please post more sketchbook work! These are so beautiful! You inspire me to get more into art! Thanks!